The domestic unit declined by 25 paise to close at 69.42 on Monday as forex traders turned cautious in a holiday-truncated week. The rupee opened 7 paise lower at 69.49 against the US dollar on Tuesday amid subdued Asian equities and fall in crude oil prices. 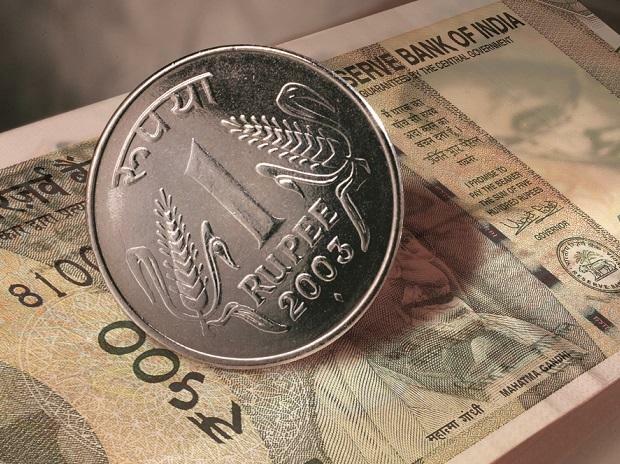 Rupee consolidated in a narrow range but came under pressure in the second half of the session on Monday after IMD released first long-range forecast for the South-west monsoon rains yesterday, says Gaurang Somaiya, Research Analyst (Currency) at Motilal Oswal Financial Services (MOFSL) in its daily currency report. The rainfall in the four-month season from June to September is likely to be 96 per cent of the 50-year average. According to the weather department, there is 39 per cent probability of normal rainfall, 32 per cent probability of below normal and 17 per cent probability of deficient rains. On the macro front, India’s trade deficit narrowed in March to $10.89 billion compared to $9.6billion in the previous month. Today, "USDINR pair is expected to quote in the range of 69.05 and 69.80," Somaiya says. On the global front, Asian stocks hovered below a nine-month high on Tuesday after disappointing bank earnings dented Wall Street, though recent signs that the global economy is likely to avoid a sharper downturn helped limit the losses, Reuters reported. In the currency market, the dollar was steady at 96.980 against a basket of six major currencies, extending overnight losses. In the commodities market, oil prices edged down after a Russian minister said the nation and OPEC may boost crude output to fight for market share, checking a recent sharp rally driven by tighter global production, said a Reuters report.